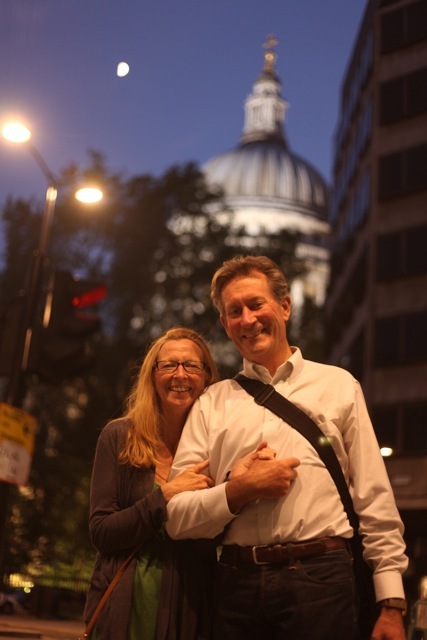 We have just – last night- returned from our UK mission and have lots of good news to share. 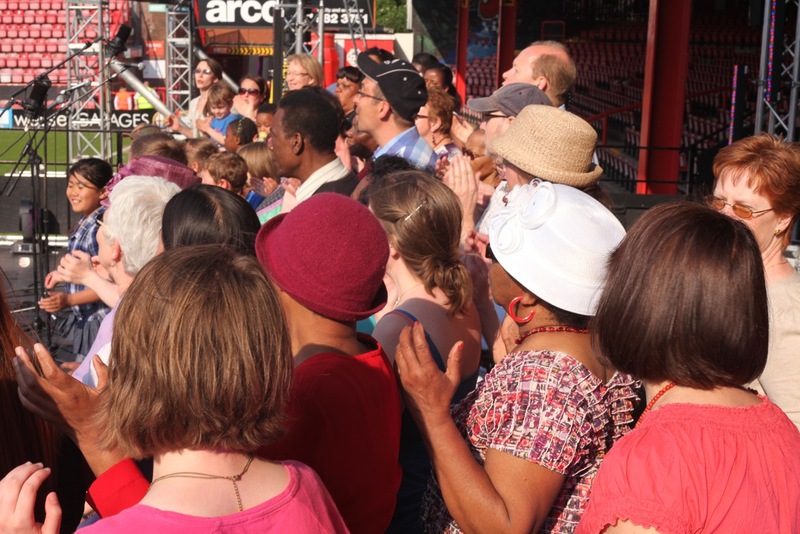 In Bristol, there were prophetic declarations at the river gate, the exchange of the prayer baton to coincide with the passing of the Olympic torch through Bristol, a Praise bus on College Green playing praise music all afternoon preceding the Olympic Torch, and of course the Arise conference on Pentecost. It was really great to see some of our old friends and spend time praying together over the week. 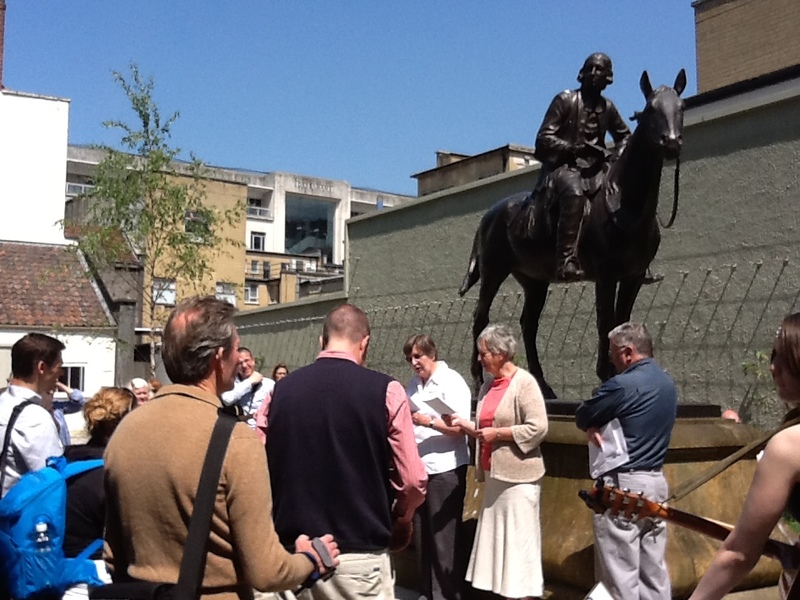 When the Olympic torch came through Bristol we did a lot of prayer, particularly on Hanham Mount – John Wesley’s place of preaching to people of Bristol. You could look down across Bristol from there and several of us prayed for breakthrough in Bristol and for re-opening the gates as Wesley had done before us. 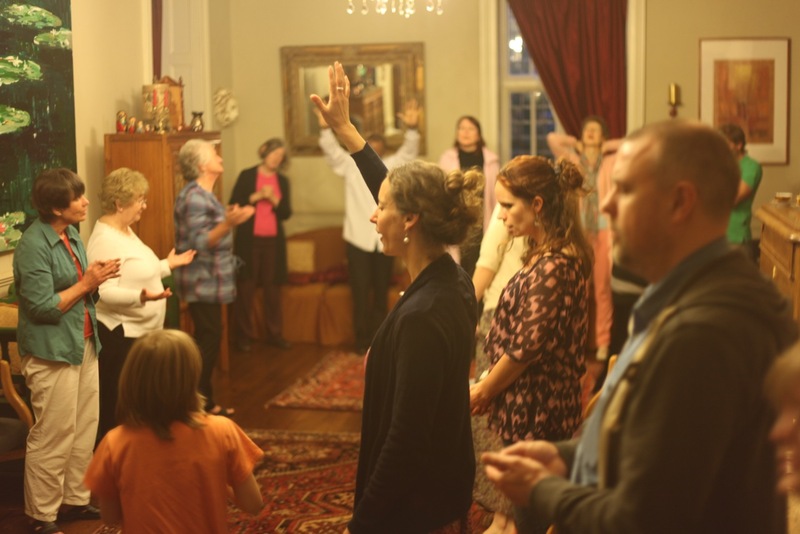 This photo is of the New Room- Wesley’s first chapel where the prayer baton was passed and we had worship to commemorate the event. 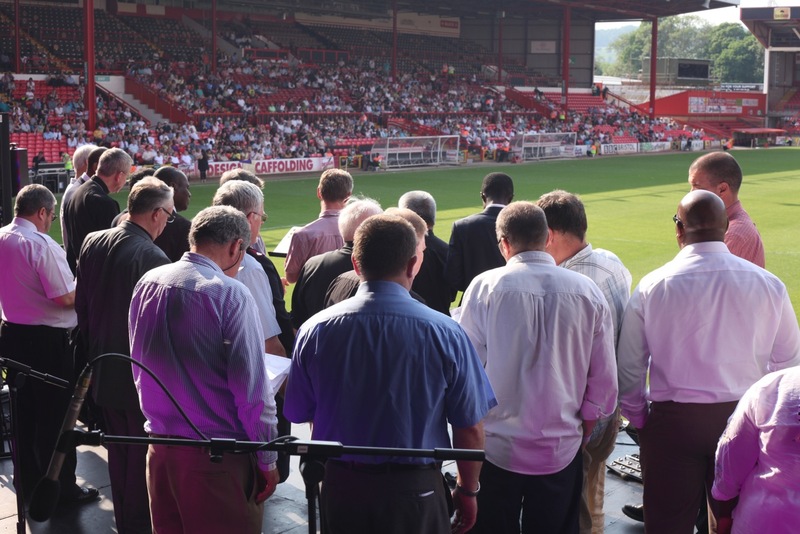 Over 6000 people and 75 church leaders across the denominations assembled at Ashton Gate Stadium for an afternoon of prayer and declaration over Bristol. I was asked to give a prophetic workshop for the children to listen to hear God’s word for Bristol. Some beautiful responses from the children but one in particular showed an arrow pointing forward said,”… the ministers in Bristol have done enough. Now God is going to do a new thing, and for them to keep going, onward to the “new thing” God has for Bristol”. 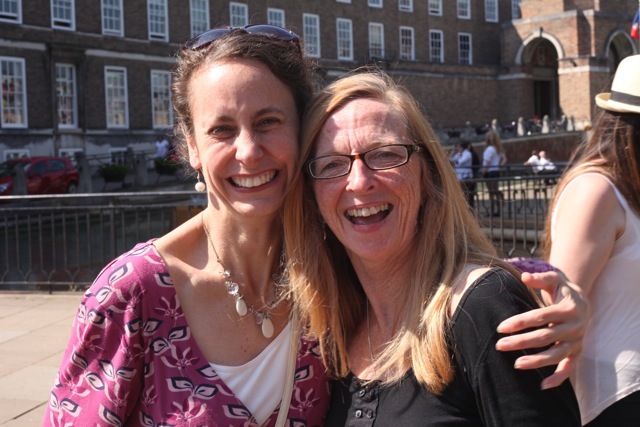 Sheena Tranter who was our partner in the House of prayer we had in Bristol was the carrier of the vision for Arise Bristol. She and her teams of intercessors organized all these events which we know will have lasting effect in the Kingdom for Bristol. England is preparing for the Queen’s 60th year jubilee this coming Sunday and everywhere there are flags and bunting. Especially in the shops and streets of London where a floatilla will be on the Thames Sunday afternoon. Through the last 60 years there has been incredible change in England. In terms of Christianity there has certainly been a shift to a secular society in that time. There has also been a large influx of ethnic groups bringing in their own forms of religion. At the moment one can see them co existing with toleration on all sides but it does not mean that it will always be the case, especially if Northern Nigeria and the Sudan are examples of what can happen after a tipping point has occurred. So the work for the Kingdom of God that is going on now in England is particularly important and there are many signs that revival is imminent. Certainly what has just happened in Bristol probably could not have happened a year ago. This is being repeated all over the country to some degree or another as the prayer baton precedes the Olympic torch. People are gathering in the streets and gates of cities interceding and declaring. We just pray for more of the presence of God in that nation as the cry to ‘Awake, Awake, Awake’ is beaten into the soil by praying intercessors. 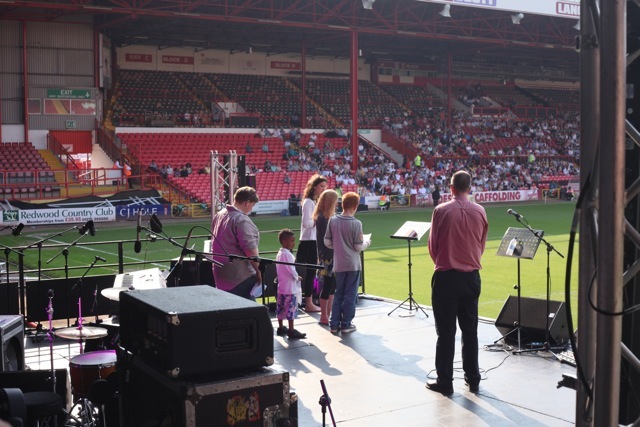 We also heard from our London friends that 16,000 people filled Earl’s Court Stadium to worship God the Friday before Pentecost in London. 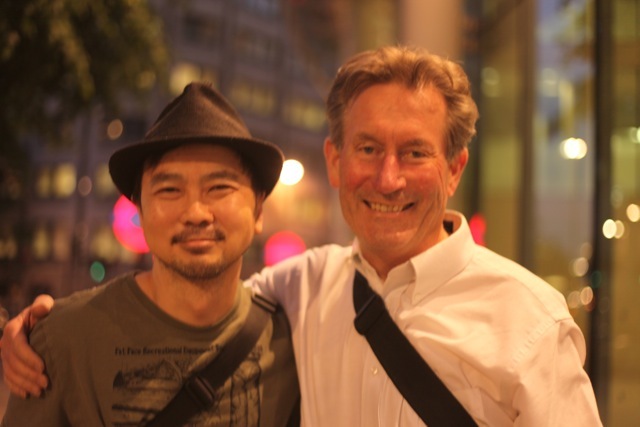 We left Bristol on Monday morning to head up to London to visit with our friend Keong who has a heart for hosting missionaries. We were so blessed by our visit and particularly want to thank all those who have been praying for us and also have been directly supporting us in this mission. We remarked every day how blessed we felt and how grateful we were. We could feel your prayers!